Saïd Business School at the University of Oxford is one of the highest ranking business schools in the world with a strong reputation for finance, entrepreneurship, public service and innovative business education. Embedded as it is within the University, Saïd Business School provides its students with the unique advantages of studying in one of the world’s most vibrant and innovative business school environments, with the rigour and academic excellence of also being part of the University of Oxford with its 900 year traditions. 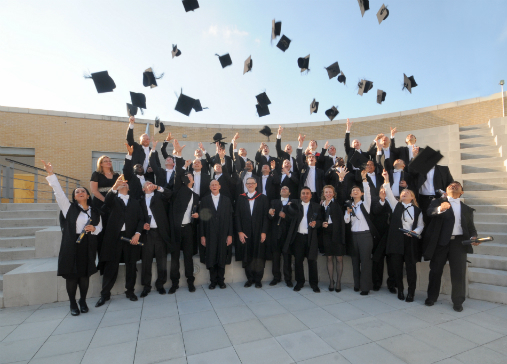 As is common in the UK, the Oxford MBA is an intensive one-year programme, and if chosen 1+1 programme, two years possible. It is a truly international experience with students from over 45 countries. In this session Professor Tomo Suzuki will speak and answer your questions about the unique features of the Oxford MBA and how to apply, and will also talk about other courses on offer at Saïd Business School. Alumni will be on hand to share their own experiences. It will be followed by a coffee and tea session to allow you to mingle and ask questions more informally. For those who are planning to submit an application and would like to have an one-on-one counselling with Professor Suzuki, there are some slots available for individual meetings in the morning and in the evening on the same day (20 minutes per person ). If you would like to book one of these slots, please mention it in “Optional” section on the booking form and we will inform of any available slots. Spaces are limited so those with GMAT 630; TOEFLE 90 or IELTS 6.5 and above will be given priority. *There will also be a presentation in Osaka on 22 January by Saïd Business School staff. Please find the details here.